Every Wednesday, you can get 15% off your total purchase by showing a college ID at the register. 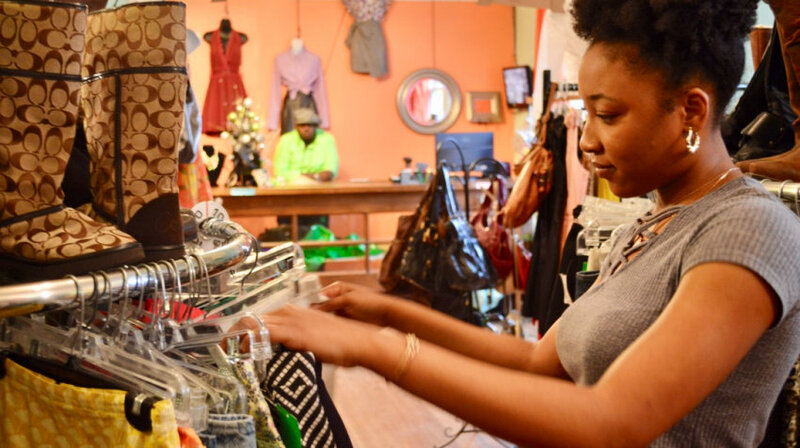 Orange Peel, Fondren’s stylish consignment shop, is offering a new promotion just for college students. Every Wednesday, students can take 15% off their total purchase by showing a college ID at the register. The locally-owned store features top brands of women’s and men’s clothing, plus accessories and home décor, all at great prices. You’ll find a lot of size and style options to get your closet ready for the next season or dress for interviews and internships. Brighten up your living space with wall art, throw pillows, and other home décor. While 15% on Wednesdays is for college students only, anyone can access weekly deals at Orange Peel by signing up for Text Club Tuesday. Text OPEEL to 51660 to receive a special one-day discount every Tuesday morning. Visit Orange Peel at 422 Mitchell Avenue. Shopping hours: Monday 12-6, Tuesday to Friday 10-6, and Saturday 10-5. Consignment hours: Tuesday to Friday, 11-3.